One of the best ways to make the most out of a particular region or country is to hire a car and explore it in your own time, especially if you don't want to make a fixed plan until you see the place. There are countless advantages to be gained, but above all it gives you the independence to roam freely, and the benefits of having a car suddenly start to reveal themselves as you'd never imagined before. In short, having a car is like having a mobile phone - you never knew you needed one until you got one! You can go to the places where public transport doesn't go or just isn't feasible; you can go at any time of the day or night; you can even change your mind halfway there and go somewhere else! Of course, renting a car while travelling is not the same as owning one - it's considerably more expensive for starters - and only really worthwhile if you want to explore rather than sit tight in one place. There are various things to consider before handing over your credit card. When you hand over your credit card to a car hire firm, just like at a hotel, they record your details and have you sign a document authorising them to charge you at a later date if the car is damaged in any way or if you don't return it with a full tank of petrol. This basically gives the company you're dealing with the power to charge you as they see fit after you've moved on. 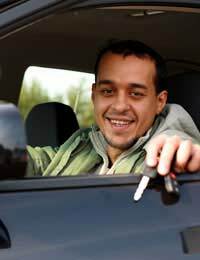 Reputable companies will check the car for damage as soon as you return it, while you're still there, and if they don't find any damage there and then they shouldn't charge you later. With cowboys, and there are many of them out there, you're essentially giving them authorisation to charge you what they like. Less reputable firms also deal through online agents and state in the small print that if there's any litigation between partners (which can be easily fabricated) then you, the client, are liable to pay again. Always read the small print and if you have any doubts about a company after you've dealt with them advise your credit card company immediately. With perseverance, and a credit card company you can rely on, this type of fraud can be fought, but you shoot yourself in the foot when you sign on the dotted line without reading the small print. The top and bottom of it is that giving a firm free rein to charge your card for whatever reason they see fit is a very risky idea and for this reason you should only trust a company with a reputation to protect - a public image. International firms should have all documents available in English too, so you shouldn't be asked to sign something you don't understand. Before you drive away - Check for scratches and the like that they haven't already told you about and that there is as much petrol in the tank as they say there is. Documentation - Always carry your driving licence and insurance documents with you - don't leave them in the car. Insurance - Always take out the maximum insurance available. Tourists are always a target for thieves and it's not difficult to identify foreigners in a hire car. Spare keys - If you happen to lose your only set of keys, replacing them is only the beginning. Having a spare set can save you a small fortune. Most firms allow you to pay a deposit and take a spare pair of keys, but if you have two registered drivers you can usually get two sets anyway. Partnerships - Many car hire companies have partnerships with airlines that result in discounts for the customer. You can take advantage of these deals even if you're not flying, by going first to the website of the airline and then clicking on the link to the car hire partner. It usually means you have to collect your car from an airport, but in some cases you can end up paying around half price! These car hire firms also tend to be the more trustworthy too, as airlines don't want to tarnish their reputations with bad recommendations.